John Wesley passed through Yeovil in 1751 and for the next seventy years local preachers journeyed from Sherborne to hold Sunday meetings in a thatched cottage located near the present Methodist church in Vicarage Street. In 1824 a Methodist (Wesleyan) meeting house, or chapel, was built in Middle Street at a cost of £813 5s 4d (around £2¾ million at today's value). In 1856 Vickery wrote "The Wesleyans have a neat chapel at the bottom of Middle Street, which has lately been cleaned and repaired. The members have the united services of the Revds. W. Wedlock and E. Addison." The chapel was used for a time as a Sunday school, then sold for £350 (around £400,000 at today's value) in 1873. On the 1886 Ordnance Survey it was noted as the Salvation Hall. 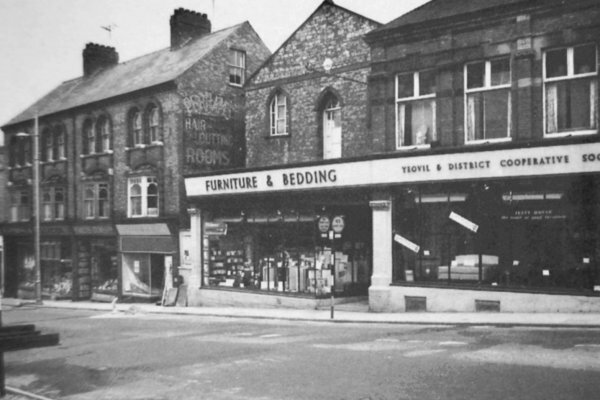 The building was demolished in 1972 and the site is now roughly where Poundland is today. 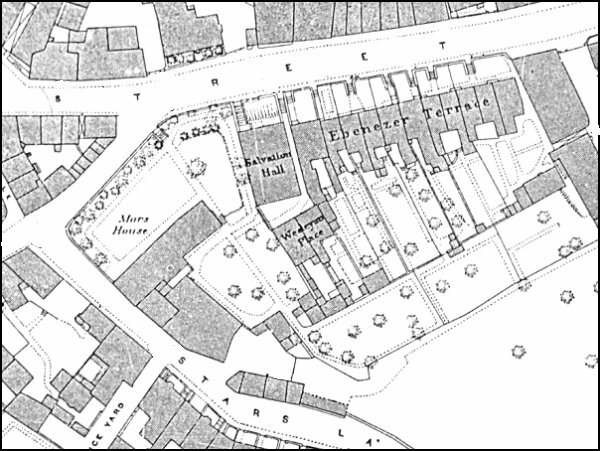 The 1886 Ordnance Survey showing the Methodist (Wesleyan) Meeting House, by this time known as the Salvation Hall, at centre. 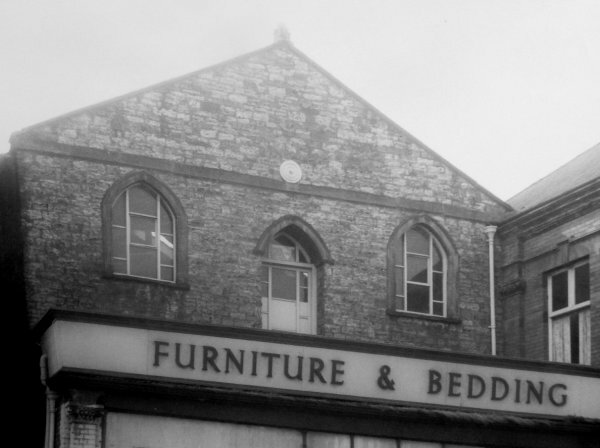 The Methodist (Wesleyan) meeting house, or chapel, at centre above part of the Co-operative Society's furniture and bedding store. Photographed in the mid-1960s. .... and a closer view, again taken in the mid-1960s. 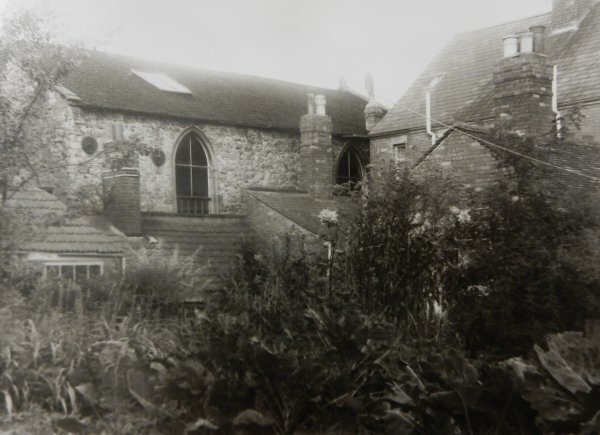 Seen from behind, again in the mid-1960s, this is the side view of the chapel. The Middle Street elevation of the chapel would be to the right.